Health at a Glance: Europe 2018 presents comparative analyses of the health status of EU citizens and the performance of the health systems of the 28 EU Member States, 5 candidate countries and 3 EFTA countries. It is the first step in the State of Health in the EU cycle of knowledge brokering. This publication has two parts. Part I comprises two thematic chapters, the first focusing on the need for concerted efforts to promote better mental health, the second outlining possible strategies for reducing wasteful spending in health. 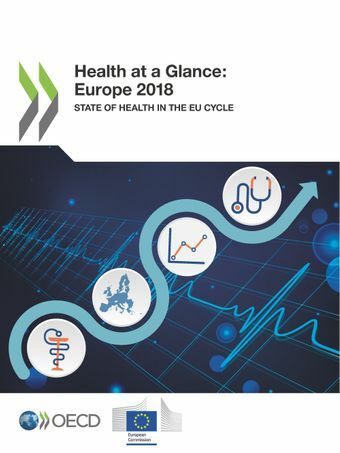 In Part II, the most recent trends in key indicators of health status, risk factors and health spending are presented, together with a discussion of progress in improving the effectiveness, accessibility and resilience of European health systems. Promoting mental health in Europe: Why and how? The press conference was live-streamed via the EC audiovisual platform.